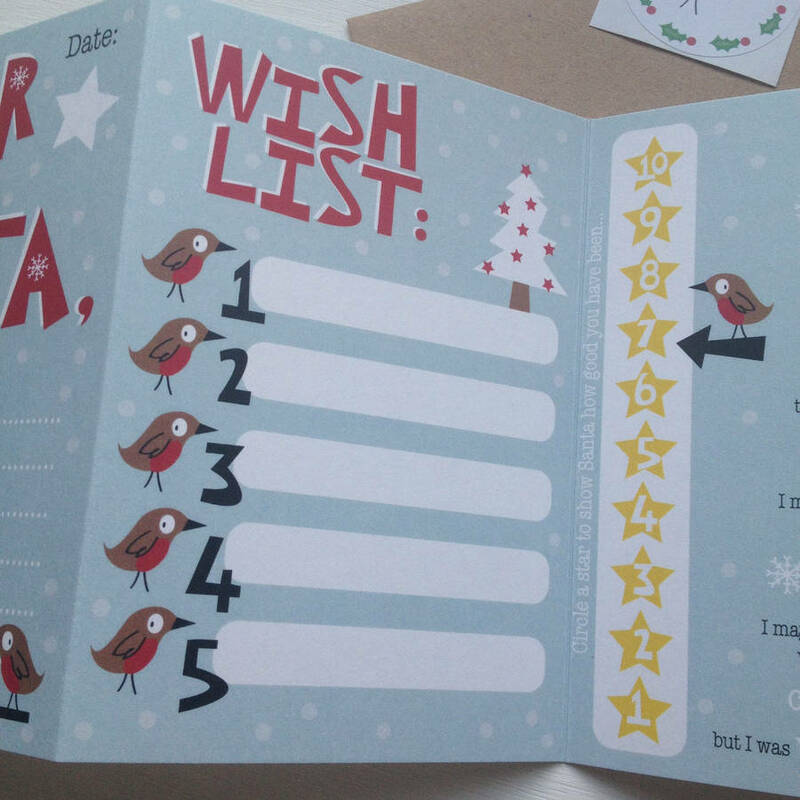 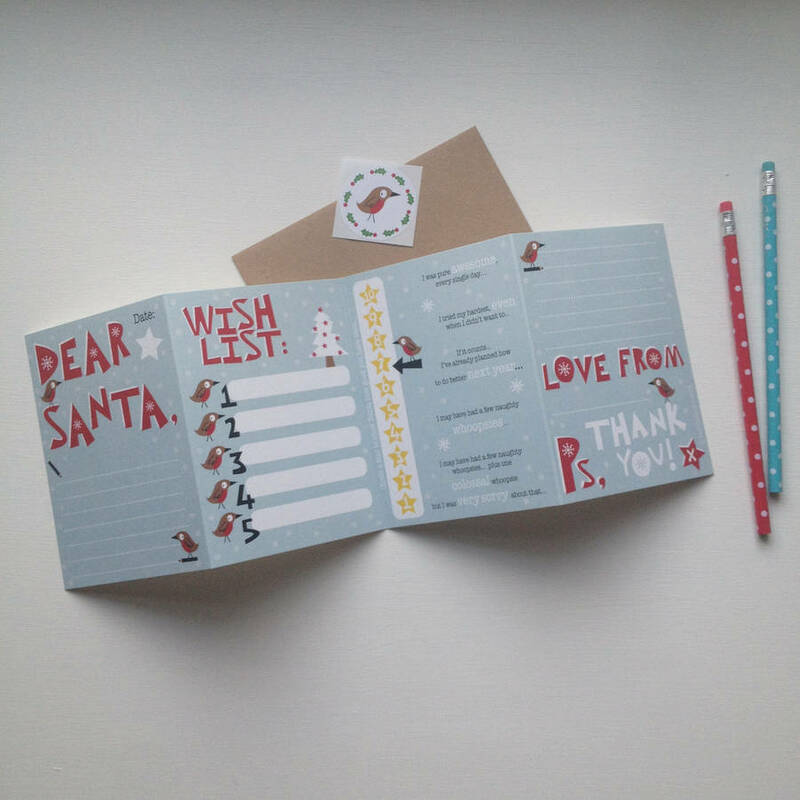 This concertina card Christmas wish list is a great way for a child to write to Santa - Fun, interactive and perfect to display on the mantle piece if you don't send them to the North Pole! 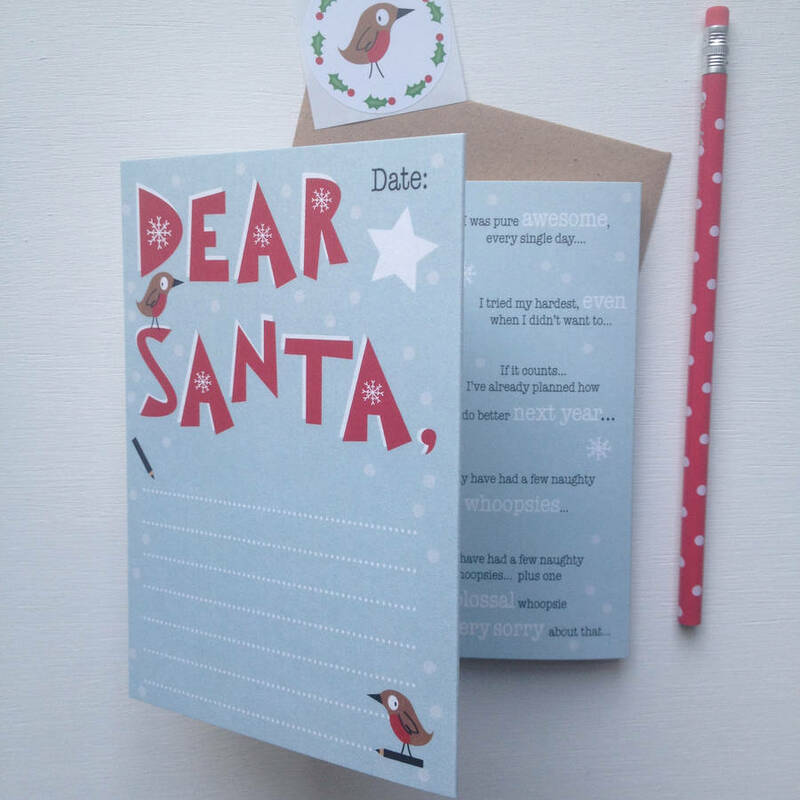 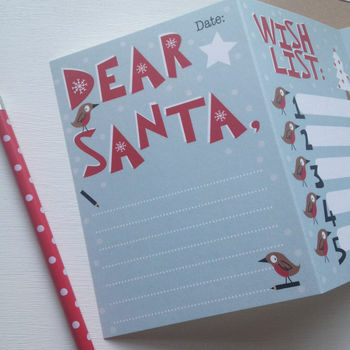 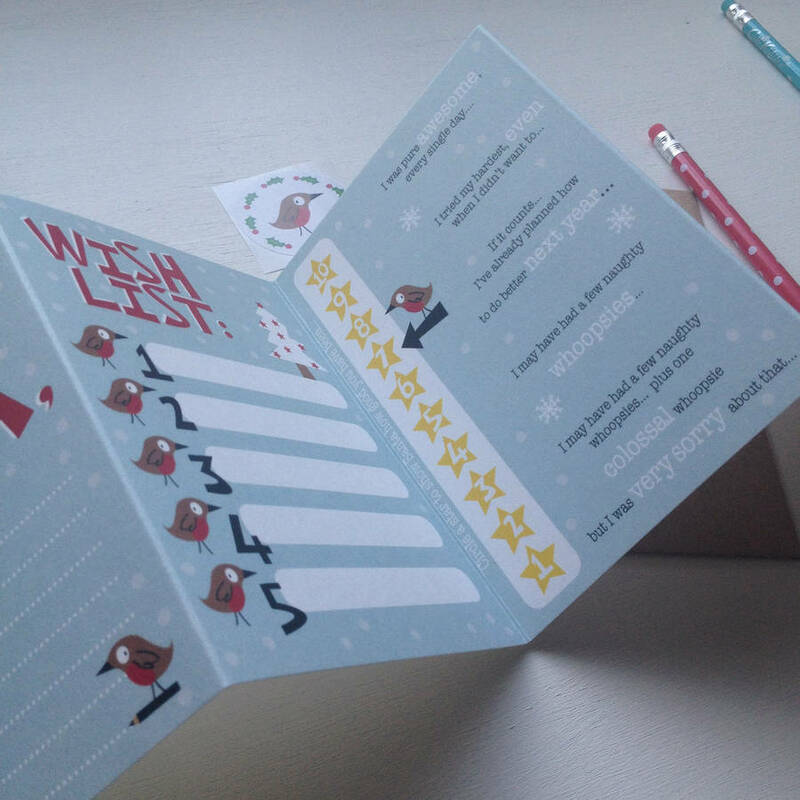 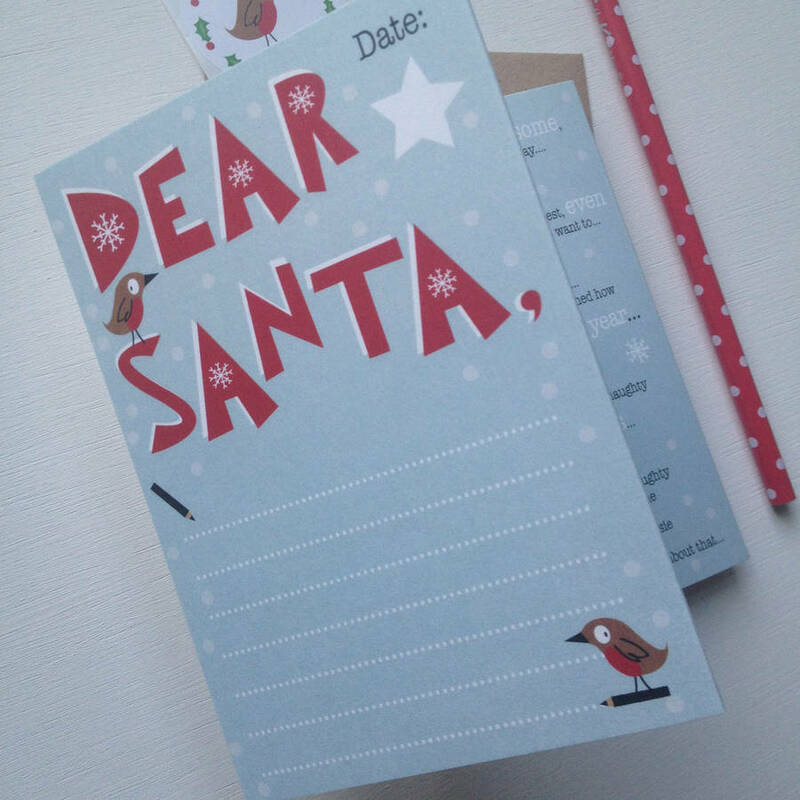 Totalling 42cms long, it folds out into 4 sections, each with a different part to fill in and make special by writing a personal message to Santa, creating a top 5 ideas 'wish list' and telling Santa, on a scale of 1-10, how good you have been! 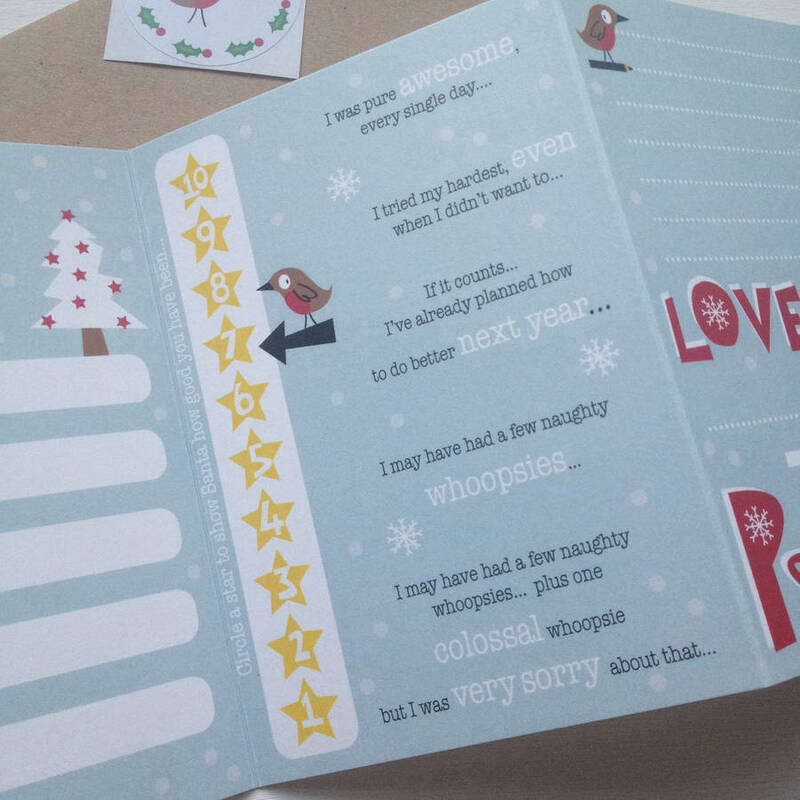 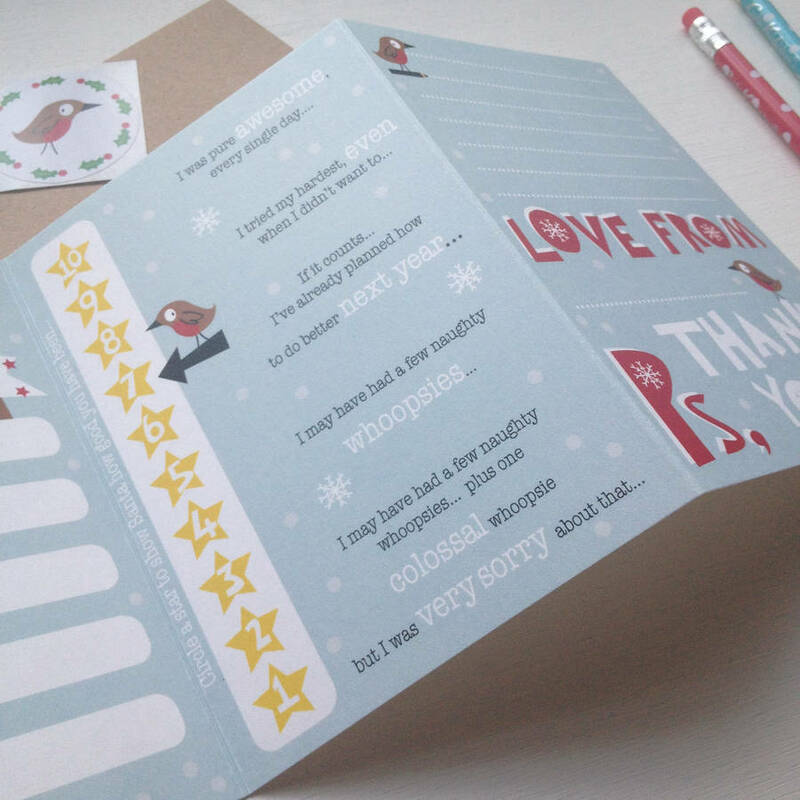 It also includes a robin & holly sticker to seal your envelope (also included) once you have finished your creative masterpiece! 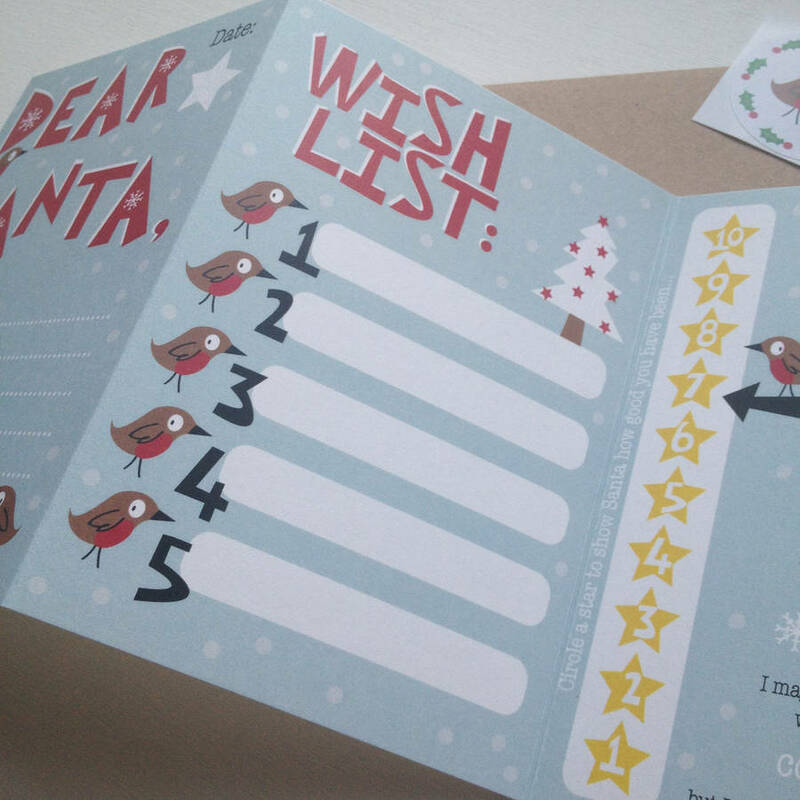 Concertina cards are a total length of 42cms long and arrive folded into 4 with a kraft envelope in a cello wrap. 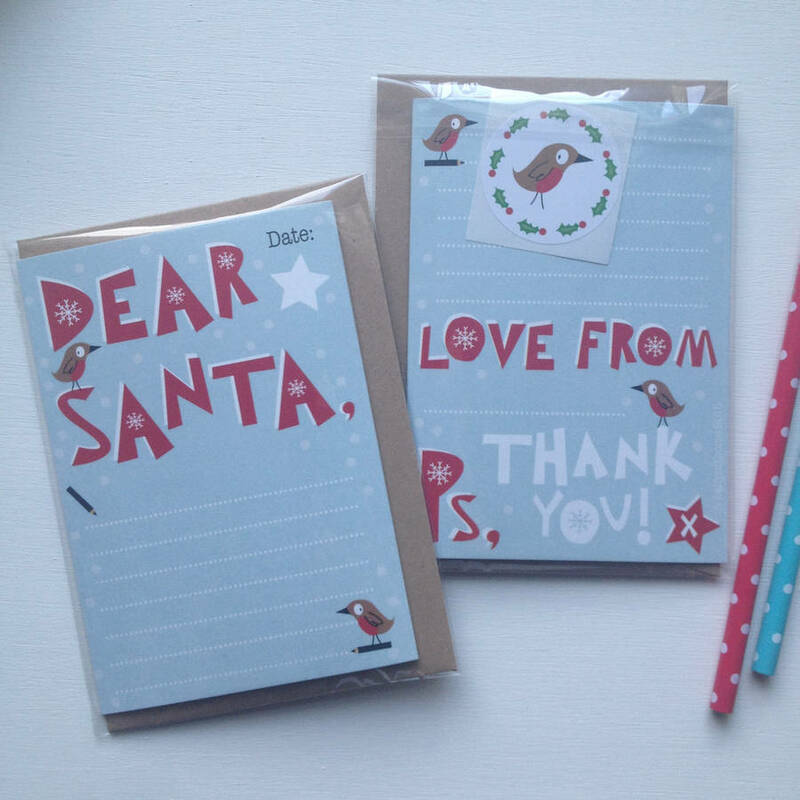 Cards will be sent in a board backed envelope to protect them. 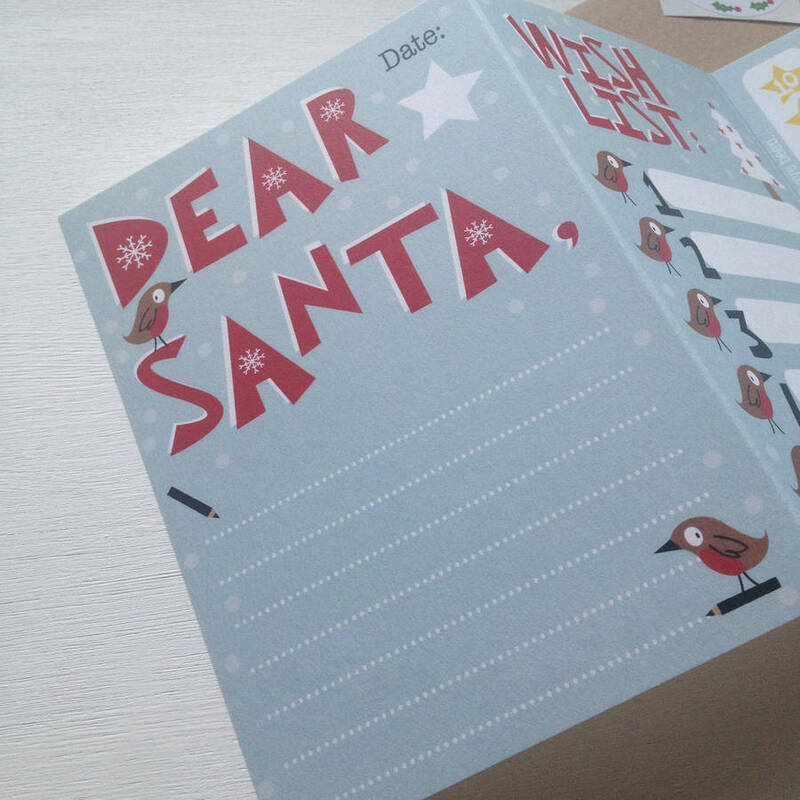 These are professionally printed onto FSC accredited premium textured 350gsm card stock and hand finished. 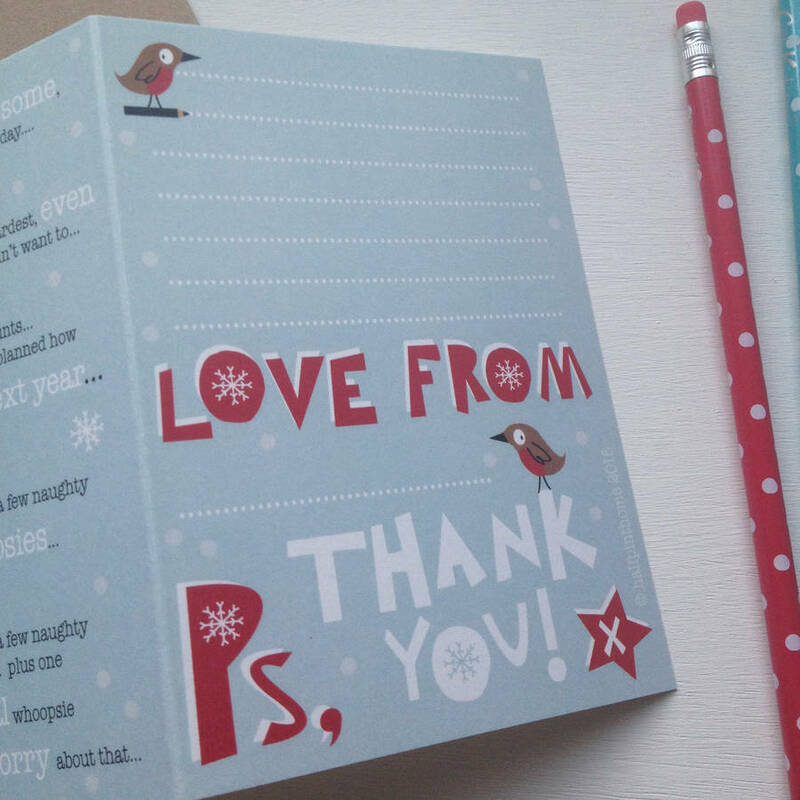 FSC accredited 350gsm textured card stock, a textured kraft style envelope and an easy peel sticker.